If you're looking for a realistic red eye effect straight from a horror movie, you're in the right place. 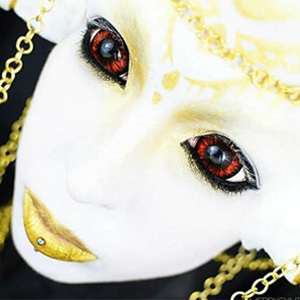 ColourVue Sclera Sunpyre 22mm contacts will make you look nightmarish! Turn into a monster from your worst nightmares with ColourVue Sclera Sunpyre 22mm contact lenses! Thanks to these contacts straight from a horror movie you'll freak out everyone you meet. These surprisingly easy to wear scleral contact lenses can make up for a whole dress up party costume alone.